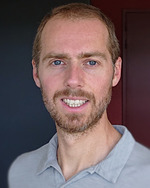 I am an Associate Professor at Jean Monnet University (université de Lyon) in Saint Étienne (France). My research at Laboratoire Hubert Curien mainly involves Machine Learning and Computer Vision, with a focus on temporal aspects. I teach various subjects ranging from programming basics to advanced web applications. I'm also involved in the Software Carpentry project. My CV, with a detailled version including my previous projects. I talk about pedagogy and courses. I'm also involved in Software Carpentry. [2018-12-24] Our submission at AISTATS 2019 has been accepted! The title is “From Cost-Sensitive Classification to Tight F-measure Bounds” and it will soon be available. All the best for this end of year. [2018-08-29] No news is good news: there has been a lot to do at work, with many successes, some rejections. In 2018, we are happy to welcome new people in the team: two new associate professors (Charlotte and Ivgen), two postdocs (Emmanuel and Tien-Nam) and some Ph.D. students (at least Rémi2, Rémi3, Tanguy and Amaury). [2017-06-05] We have a postdoc position open in the Data Intelligence group, on active domain adaptation and deep convolutional networks for anomaly detection in videos check out the offer. [2017-01-20] Présentation et matériel pour mon workshop à l'incoyable conf Mixit 2017 : Deep Learning pour la Reconnaissance de Chatons. [2017-03-02] Our new paper on arxiv “L³-SVMs: Landmarks-based Linear Local Support Vectors Machines”, on my publication page. [2017-01-20] Presentation: Version control with Git.